Why I Love The Mighty Ducks Films... and You Should Too! Just a heads up, there might be a few spoilers, though I'll try not to give it all away. My Team: Who are the Ducks? 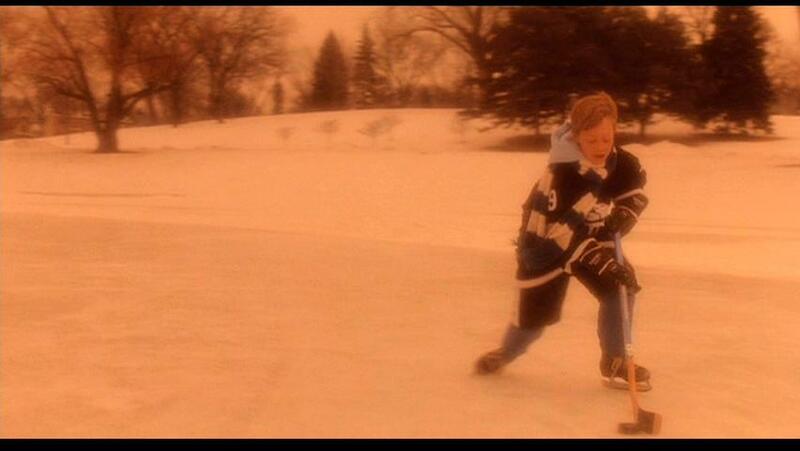 Once upon a time, there was a boy who loved to play hockey, named Gordon Bombay. But he had a bad coach, and eventually gave up playing. Fast forward til his late twenties, when he's a hotshot lawyer, and his life has turned upside down once again. Because of this, he met a ragtag pee-wee hockey team, District 5... the worst team in the league. Together, they'd become something entirely different, and change each other's lives forever. So, Gordon is injured when playing in the minors. But never fear, something is about to radically change in his life and the lives of those he impacts. Now they're on a larger 'stage' than ever before. Bombay has been chosen to be the coach of Team USA for the Junior Goodwill Games! Naturally, the core of his team is made up of Ducks. And the rest are some of the most talented hockey players in the country (as well as an Olympic figure skater). Iceland is the heavy favorite, according to the news, and their rivalry with the USA starts early. Will our favorite team succeed in proving themselves to the world? So the team has faced their arch-rivals and the world, what adventure awaits them next? Now fourteen years old, they have gotten scholarships to Coach's old prep school, Eden Hall Academy! The challenge is, they'll have to face it with a new coach, because Bombay's been offered a new job. Between harder practices, the Varsity hockey team, the absence of Portman, and a new coach, the year is looking to have a rough start. 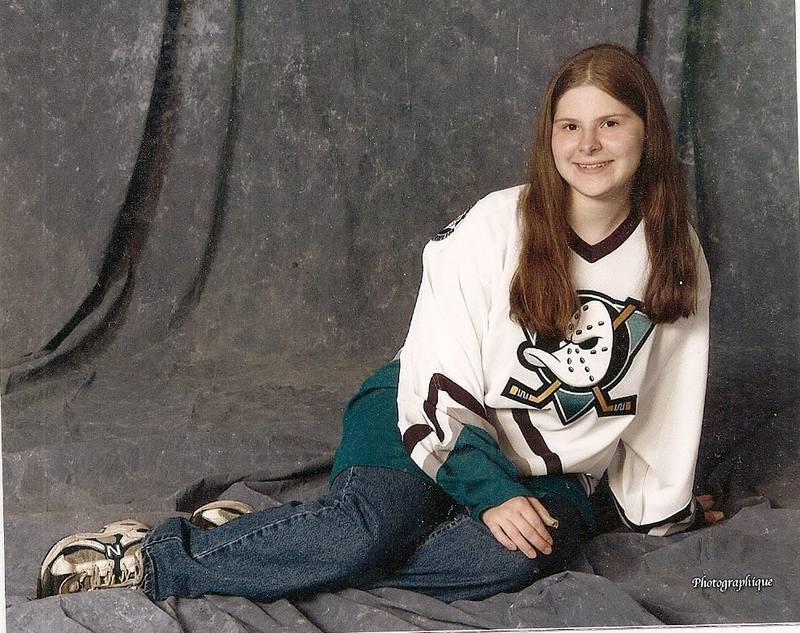 This year, the ducks face loss and growth like never before... but isn't that what coming of age is all about? For the first time, I had friends... so what if they were imaginary?! And they brought me closer to my cousins, something I'm still grateful for. They also inspired me to love hockey, and to write about them... two big parts of who I am now. Another example, that jersey I'm wearing in the picture? My dad had told me that if I kept my grades up for a certain amount of time, he'd buy me one. (The Anaheim team's jersey looked like one of the D2 jerseys.) Guess you can see how that turned out! I ended up wearing it whenever I knew I'd have a hard day (like a test I was scared about), and it helped. School was easier from 4th-college thanks to the lessons learned from this team. Maybe the appeal for you would be for different reasons. But there ya go! Well, who doesn't love a Disney comedy? Try finding at least one character to identify with, if you care about them, you'll want to see how their stories play out! Are they perfect? No, sometimes the acting isn't perfect... sometimes they're cheesy scripts-wise. But they have a lot of heart, good lessons, funny (& adorable) kids, great mentors, and the underdog angle. It's your call, I mean... many in my generation grew up on these. But they do have some language, kissing, and some scenes with boys' shirts off. But that's pretty much it. I think they were rated PG... no higher than PG-13. Who did you identify with the most? Which film was your favorite, and why? Should I do a character study on Charlie, Adam, or Coach Bombay? Let me hear from you! While you think, why don't you check out this awesome fanvid I found the other day? Disclaimer: Most of the pictures aren't mine, just found on the internet. Thanks internet people, you rock! You know, I don't think I've ever seen any of these. But you've sold me! Sounds like fun. Looks like I've done my job, haha! Thanks for reading, and for the lovely comment. You made my day! All I remember about the Mighty Ducks is how much my brother liked them. I was too young to recall anything else, but your review warmed my heart anyway! You did a really great job with the summary, and I especially liked hearing about your personal connection to the films.